Reiki is a Japanese name consisting of 2 words ‘Rei’ and ‘Ki’ (Rei means Universal and Ki means life force, energy) meaning Universal Life Energy or Spiritual Guided Life Energy, the energy which we can find all around us. Reiki is a form of spiritual healing which uses Universal Life Energy letting it to flow through the practitioner to the recipient. Actually it’s a simple and natural healing method by placing the hands on the recipient and letting the energy to flow wherever it needs. Thus this healing method will help a person to remain healthy by balancing and regulating the flow of energy. Normally, when once energy level gets down then the chances of illness in that person will increase and when once energy level gets balance then one can remain healthy. Reiki can be used for many ailments like reducing stress, relieving pain, headaches, stomach upsets, back problems, asthma – respiratory problems, menstrual problems, sinus, anxiety and many more. Normally Reiki is not using as a treatment instead of medical treatment; it should be used as a compliment or to support other treatments. Anyone can receive Reiki treatment or a Reiki attunement. Reiki is not attached with any belief system or religion. Reiki is a natural self-healing method which helps for a total development, thus one becomes ready to accept whatever comes in front of him and the Nature will be ready to fulfill his reasonable needs. Reiki helps to harmonize the energies in the body. This healing method is very effective for relieving pain. Regular practice of Reiki helps the practitioner to reach a meditative state, thus one can develop once inner awareness. It helps to relax the entire system, reduces stress and suppressed feelings. It is a good method to treat the causes of illness and throws out the toxins. By strengthening the immune system, by getting proper balance of the organs and glands one can come out of diseases and remain healthy. 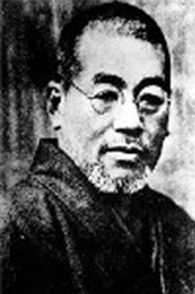 Mikao Usui was born on August 15th 1865 in the village of ‘Taniai-mura’ in the Yamagata district of Gifu prefecture Kyoto. He passes away on March 9th 1926 at the age of 62. When attending a Reiki course the participant gets attuned / initiated by a Reiki Master. Anyone can learn Reiki. By getting attunement or initiation from the Master one will be ready to use Reiki. There are three levels of Reiki: Reiki 1, Reiki 2 and the Master Level. During the attunement / initiation process the Reiki Master acts as a channel for the cosmic or Universal life energy and it flows into the student. The Reiki attunement is a very special spiritual experience for the receiver and sometimes for the Master too. Actually real enrichment happens within, not outside. When a person start to practice the principles of Reiki in one’s own daily life, then one will be ready to accept the things whatever comes in life. Heart-full acceptances enrich our life, mind will not be agitated and happiness will be our friend by following us as a shadow. 1. Just for today do not angry. 2. Just for today do not worry. 3. Just for today be filled with Gratitude. 4. Just for today be diligent in your work. 5. Just for today be kind to others. How Reiki Healing helps a person to cure disease? Reiki healing helps a person to live a healthy life by maintaining a proper balance in mental, emotional and spiritual level. The human body is nothing but a mass of energy or prana. By using the universal energy, Reiki can enter into the cells and cure the disease. Reiki affects and strengthens the DNA, RNA order and it works properly. Because of that the enzymes works properly. Please CONTACT US to book for a one to one Reiki initiation. © Copyright Yoga Pranidhana. All Rights Reserved. Developed by boatbills.